Business owners sometimes struggle to find commercial premises with enough storage space to house out-of-season or excess stock. Where it can be found, the cost of that storage space per square metre is often prohibitive. We have a number of customers who are business owners, and often it is the cheaper storage costs combined with the fact there is no long term contract, that has persuaded them to store with us instead. It has made good business sense! Perhaps you have a growing home-based distribution business and the storage space at your home is no longer adequate, or you simply want to reclaim your garage! Perhaps your neighbours don’t appreciate delivery trucks turning up at all times of the day or evening. Our storage facility offers access 6am – 10pm 7 days with plenty of room for trucks to come and go. If you’d like to find out more about our storage options, please contact us or see a summary of our Unit Sizes and Prices. We’d love to help you grow your business by providing a storage rental option where storage costs aren’t prohibitive. Have you wondered why so many businesses use self storage facilities? Commercial storage means no expensive lease, building maintenance, rates, building insurance fees – the list goes on. Self storage units provide a better business solution. More cost effective, less hassle letting you get on with running your own business. All our storage spaces are clean, dry, pest-free and secure. We provide easy access 7 days a week. Each storage unit is individually alarmed and CCTV keeps an eye out for all our customers. We also have electrified and monitored perimeter fences for your added security. Depending on the nature of your business, we can accommodate everything from machinery, stock, stationery, tools and equipment. The list is endless. If you are looking for commercial self storage in the North Shore, Silverdale or Whangaparaoa area, then give us a call and we will do our best to provide the storage solution that best suits your needs. Outgrowing your workspace? Whatever your office storage requirements, we provide office storage solutions to meet your needs. We store everything from stationery to company files, hardware to excess stock. Our comprehensive range of dry storage units are ideal for this use. From our self storage units for storing larger items to our purpose built lockers which are all clean, dry, pest-free and secure. Each unit is individually alarmed and our monitored CCTV system and electrified and alarmed perimeter fence gives you peace of mind. Your own key provides you with easy access 7 days a week, allowing you to come and go as you please. Our fixed opening times are for your added security. Feel free to use our flatbed trolleys and pallet-lifters. Our office stocks a full range of packaging materials and our friendly staff are onsite every weekday to safeguard your items and ensure you get the best in self storage solutions. 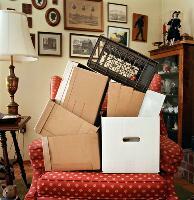 Do you need furniture storage? Perhaps you are moving house, renovating or simply have a full house? Then Gateway Storage can help with a convenient self storage solution. We offer a large range of storage options, competitive prices and friendly customer service in addition to discounts for long term storage paid in advance. Our storage units are clean, dry and pest-free. Each unit is individually alarmed and we have CCTV and alarmed and monitored perimeter fencing for your added security. Our friendly staff are onsite every weekday to assist you with any queries you may have. We provide easy access 7 days a week, with your own access key to operate our computer-controlled gate so you can come and go as you please. Our office stocks a variety of packaging supplies and we provide free flatbed trolleys, hand trucks and pallet lifters. Contact us to see how we can assist.